Full of contradictions, Fighting to unravel the Mysteries & discover my True calling and make others discover theirs through Thought-Provoking Life Path posts.Come join me in the quest for peace, discovery and knowledge. Share & View your reflections in the journey with my Words , Meet Me & Meet yourself on this pebbly road, deep trench and steep slope called – The Life Path…. Just my own personal and limited interpretation for the Poem Kamal E Zaat. If you have any thing to add or deduct, please do so in the Comment Section Below. Kamal-E-Zaat…What is it all about? Kamal means Completion, Perfection , Attainment. Zaat means Entity (that has[/which is perceived or known or inferred to have] a distinct, separate existence (living or nonliving) , though it need not be a material existence. Kamal-e-Zaat stands for a “Entity(e.g. Soul) that has attained perfection.”. The writing symbolizes the life of a Droplet of Water. How it moves on with its life, passing from one stage to another and what it attains …. A too humble and modest drop of water that has to fight continuously the struggle in/of life and pass through a test that has been presented to it. 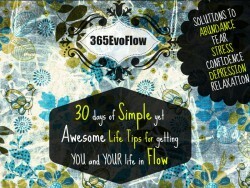 On a literal level, it discusses the circumstances it has to go through during the whole process called Life. When you look at its life cycle, it has to get itself burnt to actually change from liquid to vapour (vaporization); a process so essential and quite noticeably the Only process that will make it RISE towards the sky. The drops that don’t find the strength or are unable to go through the whole process of burning themselves, losing their physical identity ( at some point under the scorching heat of the sun or fire ) will just meet a fate of loss; a loss that shows itself in the form of the drops getting buried in the sand and losing their identity altogether in the vast expanse and mass of the sand. It points out another fact that no matter if all these drops are united together like in a great ocean or vast seas, not all will win in changing their fate and taking them to the next, higher level of existence ( the state when they are in the form of vapor hung high in the sky ) . It takes the courage, the strength, the utmost desire of ONE drop to be the First to rise and lead the way for other drops to follow. The last part though concludes the whole cycle though pointing out another important fact in the water life cycle. The fact that the water’s (drop’s) transition and change of states is CONTINUOUS from solid (ice) to liquid (water) to gas (vapour) and then back to liquid (water) again i.e. When the water rises to the sky and gets accumulated in the clouds and then changes to ice or back to water and falls down as the heavenly shower (rain). The whole process is gradual but continuous and NON STOP. Though the highly Unreliable nature of drop’s life makes it lose its Physical Identity ( Physical Identity which is a way that others Recognized you, it’s a Reason of Being Known or Attaining Recognition and Fame ) BUT in Reality, Losing this physical identity, this annihilation, this Non existence is the ONLY WAY that makes and paves the way for THE DROP to be actually Attain the Pinnacle, the Highest point, the Perfection and Completion of Self, the Inner Self since this is the ONLY WAY to Achieve Great Goals/the goals that its meant to achieve with the Talents and Potential that lies Within. It can have multiple meanings and ways of looking at it figuratively. This is one of them. Kamal-e-Zaat is all about a Single Individual Attaining the Height of Perfection of its Being. Kamal-e-Zaat also points out Losing One’s Outer self to Complete the Inner Self. Though this can be interpreted at a Material level too. The first 2 lines just point out a simple fact that Hard work and Struggle Define, Make and Result in Human Success. It can also mean that unless one goes through the Tough, Harsh experiences in life, one can’t find the Wisdom, the Depth, the Passion, the Perseverance, the Strong desire to accomplish and attain something. One cannot feel …….. The third line just explains the fact that People who don’t have endurance, who can’t stand in the face of all odds can’t succeed, are not remembered and are just lost amongst millions of others, not achieving anything. The life in itself is Temporary, Humans are Mortal. Moreover, the life keeps on changes, human beings go through various phases of life from childhood to youth to old age, various chapters in life marked by successes and failures. The inherent nature of life represents change, constant change and nothing is Absolute, nothing is Fixed, Permanent and Forever. One only attains Immortality through Submitting himself/herself to a Cause, to losing its Own Existence for a Greater good. Such a person remains amongst the living even when he dies and is Relived through their remembrances of him/her. This is the Actual Existence even though Physical Existence Remains No More. It also outlines the fact that Death gives way to a Permanence to Soul and Such Death is actually an Immortal Life of Permanence, of Eternity. I love Newton. My love of Newton started in school actually, during the Physics class. Of all the sciences, Physics was the one that held true to my heart and I loved to know and learn how things around me worked. I love the fact that an Apple fell on Newton and I love the fact that Newton, therefore discovered gravity. Uncle Newton, as I like to call him, laid down all those Laws of Motion that were taught rigorously in class. Supposedly, after all those years I reminisce those Laws of Motion and what comes to my mind is utterly a nuisance. Well, I am still very sober though but I hope you really believe in it after looking at the image below. With all due respect to Newton uncle, whom I love so much and will always do since without him there wouldn’t be an existence of 4th law of Motion or Motions as I rephrased it. I love Newton’s 3 laws. I love the fact that they gave me an opportunity to write a 4th one. Hmm…So if you got Motions, don’t sit around and look at the apple, don’t eat one in any case, don’t even think of letting it fall on your head. Just do what Newton asked you to do in the image above. Oops!! Well , I know uncle Newton will forgive me. I love Newton! 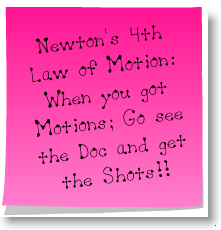 I love Newton's Law of Motions! !